You might be familiar with new types of news stories that have only recently been appearing in the Facebook Ticker. Only a few short months ago, with the launch of Facebook Open Graph, users could share when they “watched” a video on Hulu, when they were “listening” to a song on Spotify, and when the “read” a new article. Open Graph’s sharing process was called “frictionless” because once a user approved the app to post this information, the app would share without any interaction needed from the user. The process was quick and painless. The idea for Open Graph apps was that they would greatly aid social discovery. For example, if your friend was listening to the brand new Lady GaGa song, you could quickly play it for the first time too. Now, Facebook is letting around 60 new apps share stories in your Ticker. So, in addition to “watched,” and “read,” users can now frictionlessly share when they’ve “bought” a product, “bought tickets for” a concert, “donated” to a cause, “visited” some location, and much, much more. Apps now able to use Open Graph do stand to gain a lot through social discovery. For example, you might also decide to buy tickets to a concert because you see a group of your friends going, or you might donate money to a cause you hadn’t heard of before because you saw that your friend did. I’m sure Open Graph is doing wondrous things to drive traffic and boost interaction. This second launch of Open Graph apps was delayed until now so that Facebook could analyze how the Ticker was working and figure out how often Open Graph stories should appear. When Open Graph was first introduced to Facebook, it seemed that the Ticker would constantly show what your friends were currently listening to. This was a drawback because your friends were obviously doing so much more. Facebook doesn’t want these stories to come across as annoying advertisements or spam. While I think this “frictionless” sharing is a neat idea and does greatly influence social discovery, I’m wondering if these stories will begin to overly populate Facebook. 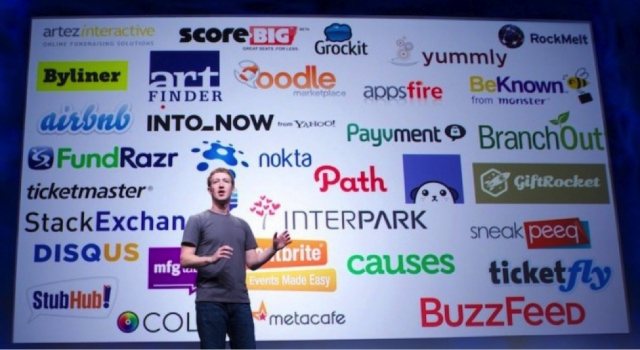 With 60 other companies adding Open Graph, it seems that Facebook could come across as even more advertisement-focused, despite the fact that these aren’t paid ads. However, despite my worries, I’m sure Facebook has already developed preventive measures to not disrupt the current Facebook experience too much. In the end, I’m excited to engage with these new stories and to see how future apps will embrace the Open Graph platform.